imhotep90 | What song the Sirens sang . . .
Who exactly were the Druids and what did they practice? The short answer is that no one really knows for sure, and most of the sources left by supposed eyewitness accounts of their practices may never be provable, mainly because the Celts themselves left no writing behind. This sense of mystery and lack of knowledge about the Druids and their practices has caused many individuals through the centuries to present them in many different lights, some more factually based and believable than others. Primary sources tell that the Druids were Celts of an educated priesthood-like class in Ireland, Britain, and Gaul. Interestingly enough our main source of information about the Druids and some of their possible practices and societal roles in Celtic culture come from Julius Caesar in his writings in Commentarii de Bello Gallico, book VI. In his brief account of the Druids while campaigning in Gaul, Caesar describes them as the interpreters of all religious and astronomical/cosmological questions. Caesar’s commentaries also claim that many young men went into training to become Druids, learning all Druidic knowledge by heart. He also mentions that it is the Druids who decide all public and private controversies in their given societies, including all crimes committed by the people. One piece of information given to us by Caesar that has come under much scrutiny in modern scholarship is his claim that the Druids practiced human sacrifice in order to appease the gods on behalf of warriors preparing for battle or those afflicted with illness within their society. Usually those offered as sacrifice were criminals, but Caesar claims that sometimes innocents are sacrificed as well to the gods on behalf of certain individuals. 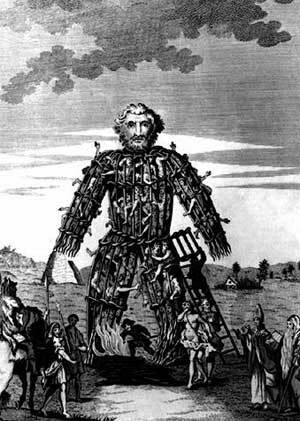 Caesar describes how the people would construct large images with limbs woven together with willows to form what is known as a wicker-man and then fill them with those who were to be sacrificed. The wicker-man was then set on fire and those inside inevitably perished from the flames. The possible problem with relying on Julius Caesar’s account of the Druids is the fact that Commentarii de Bello Gallico was written as self-propaganda in order to build-up Caesar’s image in Rome as a great leader for his own political purposes, making some of his claims about the Druids, such as the sacrificing of human beings in wicker-men, somewhat dubious. Some modern scholars, such as Ronald Hutton, have pointed out that Caesar probably manipulated the facts on the Druids, presenting them as both learned and barbaric in order to show the Roman senate that the people in Gaul would be worth ruling due to their knowledge and that Roman values could temper their barbaric tendencies, such as their supposed practice of human sacrifice. Many myths and false claims about the Druids and their religious practices have persisted for centuries. For example, many people associate Stonehenge with the Druids when in fact there is no known link between the Druids of the Iron Age and the people who built Stonehenge sometime between 3000 and 2000 BCE. That religion would most likely have died out well before the Iron Age began. During the 19th century CE, the Druids and Celts began to be romanticized in popular culture, leading to many false ideas about the Iron Age Druids and their religious practices. Much of these ideas have been disproven by modern studies and discoveries on the matter. A major contributor to this 19th century fascination and view of the Druids was the works of Welshman Edward Williams, also known as lolo Morganwg. Williams claimed to have collected ancient knowledge about on the subject that he had gathered together. Many of these writings were later found to have been complete fabrications on Williams’ part; nevertheless pieces of his writings still appear in Neo-Druid works to this day as if they are authentic. Today there are many different sects of pagan religions inspired by the Iron Age Celts and Druids, none of which have any provable historical semblance to the actual religious practices of the Celtic people. Modern day Druids or so called Neo-Druids focus much of their practices or teachings on the importance of nature. It is from nature that Neo-Druids draw their main focal point of spirituality. When it comes to modern day interpretations as to whom the Druids were, one view, as purported by archaeologist Anne Ross, is that the Druids were essentially shaman-like tribal priests, not having much in common at all with classical philosophers. Of all the different speculation and theories through the centuries as to whom the Druids were and what their role was in Celtic society, perhaps this is all we can know for sure: that the Druids were a priest class that oversaw the religious practices of the tribal group in which they were over. Most everything else is purely speculation. Caesar, Julius. The Internet Classics Archive. The Gallic Wars by Julius Caesar. Translated by W. A. McDevitte and W. S. Bohn, 1869. Web. 29 Apr. 2015. Cicero, Marcus Tullius. “On Divination Book I, P.223.” LacusCurtius • Cicero. Web. 29 Apr. 2015. “Druid Beliefs.” Order of Bards and Druids. Web. 29 Apr. 2015. “Druid | Celtic Culture.” Encyclopedia Britannica Online. Encyclopedia Britannica. Web. 29 Apr. 2015. “Druid.” Wikipedia. Wikimedia Foundation. Web. 29 Apr. 2015. “Druids.” British Museum. Web. 29 Apr. 2015. <http://www.britishmuseum.org/explore/highlights/articles/d/the_druids.aspx&gt;. “Earth Mysteries: Who Were the Druids, Anyway?” Earth Mysteries: Who Were the Druids, Anyway? Web. 29 Apr. 2015. “Full Text of “Pliny’s Natural History. In Thirty-seven Books”” Full Text of “Pliny’s Natural History. In Thirty-seven Books” Web. 29 Apr. 2015. The Golden Bough. Frazer, Sir James George. 1922. “The Venerable Bede, Druidic Tonsure and Archaeology.” ” by Venclova, Natalie. Web. 29 Apr. 2015. The questions of when and why did the ancient Roman Empire leave Britain has been discussed among historians for many years. Some historians make the case that it was Rome who abandoned Britain while others suggest it was Britain through various uprisings that abandoned Rome. Looking at history, it appears both arguments have their merits. Most historians like to point to 409 or 410 CE as the two most likely dates when the Roman military had finally pulled out of Britain permanently. Reasons for Roman abandonment of Britain included the problem of barbarian attacks from various tribal groups at home as well as in Britain. This coupled with various uprisings against Roman leadership from the Britons put a great strain on the Roman military. Uprisings in Britain were not just done by the native Britons themselves. Several times Roman leaders whose power was based in Britain tried to seize imperial authority. The most well-known case involved Roman-Britain general Magnus Maximus, who crossed the Gaul and killed Western Roman Emperor Gratian, thereby becoming ruler of Gaul and Britain. Eventually Maximus was executed by Theodosius in 388. Constant usurpation of Roman emperors led to a lack of coherent policy throughout the Roman Empire, inevitably affecting its rule over Britain and the rest of its vast empire. In the year 409 CE, the Roman army had proved itself to be very unpopular in Britain causing the Britons to revolt even more. This along with an expulsion of Roman-Britain magistrates could have been the deciding point for Emperor Constantine III to finally call an end to military occupation of Britain. In 410 CE, Emperor Honorius told the Britons after a request for military assistance against invaders such as the Saxons, that Rome was officially done assisting Britain militarily and that they were to be left to defend themselves. “Hadrian’s Wall view near Greenhead” by Mark Burnett. Licensed under CC BY-SA 3.0 via Wikimedia Commons. “The Britons.” Hadrian’s Wall.Web. 11 Apr. 2015. 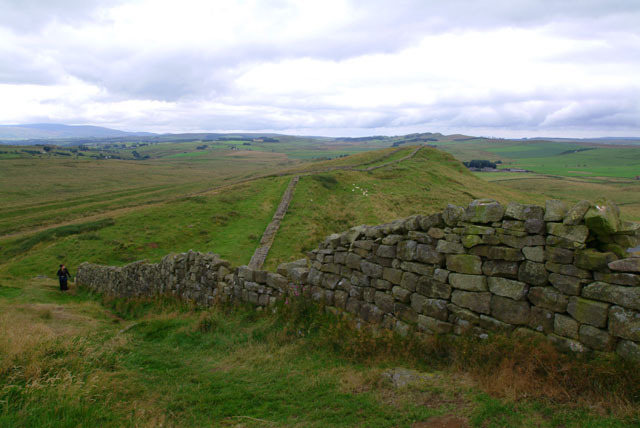 <http://explore-hadrians-wall.com/history/history_9.php#&gt;. “The End of Roman Britain.” Google Books. Web. 11 Apr. 2015. “Roman Britain Timeline.” Roman Britain Timeline. Web. 11 Apr. 2015. <http://www.historyonthenet.com/chronology/timelineroman.htm&gt;. “Siliqua Constantine III-RIC 1355” by Classical Numismatic Group, Inc. http://www.cngcoins.com. Licensed under CC BY-SA 3.0 via Wikimedia Commons. When one thinks of the city of Athens, one thinks of the roots of democracy and a democratic system of government – perhaps the very first seen in world history. If indeed Athens was one of the earliest if not first political state to institute a democratic form of government, where did the ideas for such a system originate? 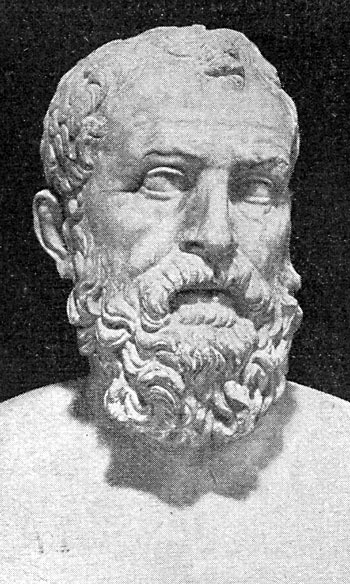 Although it would be impossible to pinpoint one single person or group in Greek history, one could argue very persuasively that if one man is to be considered the father of Athenian democracy that man should be Greek Axial Age thinker and Athenian statesman, Solon. Solon taught that the citizenry of a state should be responsible in forming a collaborative political effort to create a stable form of government and together devise solutions to societies’ problems. To achieve this he formed an assembly open to all male Athenians. Solon’s main goal was to lead Athens on the road to a more democratic form of government. He set out to accomplish this goal by abolishing farmer’s debts, enslavement for debt, and by formalizing the rights and privileges of each class of Athenian society according to wealth. To Solon wealth was a better way to determine access to public office over birth. He created a comprehensive code of law made available on tablets so that the Athenian citizens could see how they were being governed and what their specific rights were. Solon also created a set of census ratings for each adult citizen to have their wealth recorded in order to have access to public offices. When the people of Athens wanted Solon to assume tyranny of the city, he, some would say nobly, rejected the offer. Solon’s reforms and ideas were not always immediately accepted openly by some in Athens. In fact democracy would not be fully instituted in Athens until fifty years after Solon’s death. Despite this, there is no denying Solon’s influence and contributions in setting Athens on the road to democracy. “The Axial Age.” The Human Journey: Axial Age Greece. N.p., n.d. Web. 29 Mar. 2015. “The Internet Classics Archive | Solon by Plutarch.” The Internet Classics Archive | Solon by Plutarch. N.p., n.d. Web. 29 Mar. 2015. Hertzoff, Andrew. 2008. “Eros and Moderation in Plutarch’s Life of Solon.” Review Of Politics 70, no. 3: 339-369. Academic Search Premier, EBSCOhost (accessed March 26, 2015). Collapse of the Minoans: Who or What is to Blame? In the past, many historians and archaeologists believed that the eruption of Thera, now modern day Santorini located in the Aegean Sea, was the direct and immediate cause of the downfall of the Minoan civilization. Newer research shows that this is not the case. Historians now generally point to c. 1450 or 1400 BCE as the probable dates for the destruction of the Minoans and the invasion of Crete by the Mycenaeans. However, the eruption of Thera seems to have occurred many decades or possibly even two centuries before the collapse of the Minoan civilization and the beginnings of the Mycenaean occupation. How much of an impact did the eruption of Thera have in ending Minoan civilization then? This is the question that has plagued historians, archaeologist, and scientists for decades. Major Minoan cities, such as Akrotiri located on Santorini, were inevitably destroyed with the eruption, yet it is clear that trade and productivity continued for the Minoan people well after the fact. No bodies or human remains have been found under the ash of Akrotiri, which appears to have been abandoned before the volcanic eruption (although it is still possible the bodies are there and just have yet to be discovered). One theory suggests that years after the destruction of Akrotiri, which was a major trade-hub, the cost of transporting goods slowly increased over time as the Minoans had to spend more to maintain the same amount of trade with less shipping routes. Eventually these costs led to a complete collapse of Minoan society giving the warlike Mycenaeans an opportunity to invade Crete, possibly from the Greek mainland. In the end the impact of Thera eruption was what caused the Minoan’s downfall, but that impact may not have been seriously felt until years later, unlike what historians had previously thought. With the burden of losing their gateway city, Akrotiri, and number of necessary ships, the now much weakened Minoans could no longer hold on as a civilization, making them easy targets for violent outside forces (the Mycenaeans) to enter and take control almost two-hundred years after the devastation of Thera. 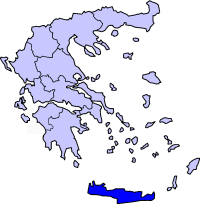 “GreeceCrete.” Wikimedia Commons. Web. 06 Mar. 2015. Höflmayer, Felix. “The Date Of The Minoan Santorini Eruption: Quantifying The “Offset.” Radiocarbon 54.3/4 (2012): 435-448. Academic Search Premier. Web. 5 Mar. 2015. Knappett, Carl, Ray Rivers, and Tim Evans. “The Theran Eruption And Minoan Palatial Collapse: New Interpretations Gained From Modelling The Maritime Network.” Antiquity 85.329 (2011): 1008-1023. Academic Search Premier. Web. 2 Mar. 2015. Mathisen, Ralph W. Ancient Mediterranean Civilizations: From Prehistory to 640 CE. New York: Oxford UP, 2012. Print. “Mycenae and Minoan Crete.” Mycenae and Minoan Crete. N.p., n.d. Web. 05 Mar. 2015. 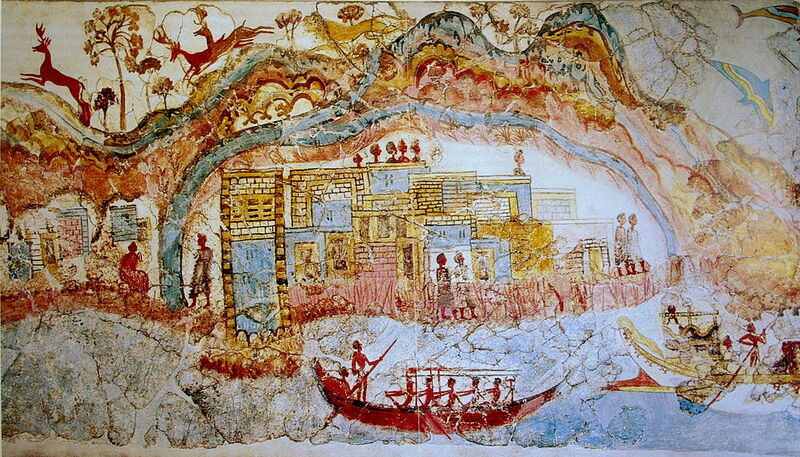 Ship Procession Fresco, Part 1, Akrotiri, Greece. Web. Le Musée Absolu. Wilford, John Noble. Minoan Culture Survived Ancient Volcano, Evidence Shows. The New York Times, 27 Nov. 1989. Web. 05 Mar. 2015.